A FIVE-YEAR study has shown the use of novel forage crops has no impact on the eating quality of lamb. 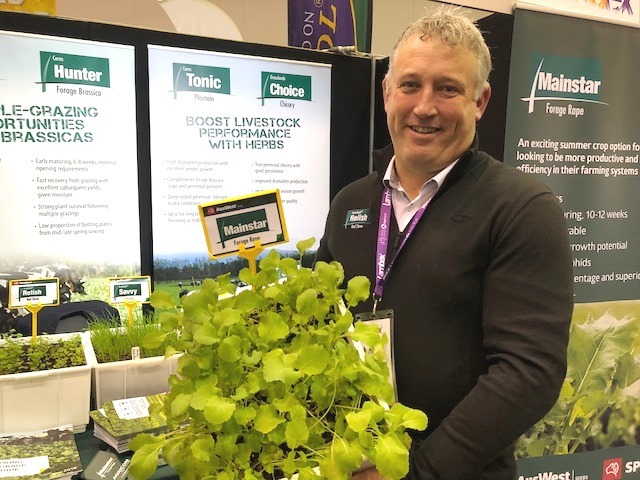 Concerns that feeding crops like chicory or plantain would influence the flavour of the end product may have discouraged some producers from using them, but work detailed today at LambEx in Perth, Western Australia, has shown this is not the case. Dr Glenn Judson is the leader for nutrition and farm systems for AusWest Seeds in Canterbury, New Zealand and said extensive work had shown no difference in eating quality based on feed type. “There has been concern that some forages, and brassicas for example, may pose a risk to the eating quality of sheep meat in terms of its aroma, flavour, succulence and texture,” Dr Judson said. “It’s about whether what goes down their throat affects the quality of what meat is produced. The testing was run over five years and involved AusWest Seeds teaming up with a taste panel of consumers. Initially the tasting tests were done just in just New Zealand but were then expanded to Australia and included Australian’s of Asian decent who Dr Judson said had a different palette. Dr Judson said researchers “threw everything they could” at the lambs so the taste panel could try to determine whether the feed type affected the easting quality. Feed types tested included ryegrass/white clover pasture, forage brassicas, red clover, lucerne, chicory, plantain, radish, lotus and even kale. Lambs were grazed on these crops and then the loins were taken from the carcase and put through the taste panel. Dr Judson said the panel was able to taste “subtle” differences, but not from what they were fed. Consumers did prefer the taste of ewe lambs, had a preference for the lambs from certain sires and liked lambs which were grown more slowly. But the taste panellists could not distinguish between the time or method of castration, nor could they taste any difference in lambs which were fed on different feed types. “This should encourage producers to use whichever forage is agronomically suitable for their system to finish lambs without fear of any effect on the final product,” Dr Judson said. Once these fears were put aside, Dr Judson said there were great gains to be made from offering novel forages crops to feed and finish lambs to be able to target weight specifications. It was important, though, to be able to manage the forage crops for the greatest returns, and this could mean leaving up to 40 percent of the crop behind. Dr Judson said this went against thinking which suggested that utilising the entire crop would be more productive. “Low stocking rates typically lead to faster growing animals because there is less competition for feed, but it seldom maximises production per hectare,” Dr Judson said. “High stocking rates seldom achieve maximum growth in lambs because of allows competition for feed. He said grazing trials had shown that the optimum return per hectare was allowing lambs to graze about 2.5kg of dry matter a day, a rate which was applicable across many forage crops.